The idea that nuclear power furthers weapons proliferation is persistent, but flawed. As a former opponent of nuclear power, I recall here the many bridges I had to cross to understand the differences between solid facts and solid arguments on this issue. When I was anti-nuclear, I believed there was a serious connection between the spread of nuclear power generation and the spread of nuclear weapons. When I set out to test my own position on nuclear, I made a list of my objections and worked through them one at a time. I am revisiting the proliferation issue now because I am finding, after a few years on the other side of the argument, that proliferation is a real “fall back” position when all other reasons to object to nuclear power have gone away. There are many good reasons why reasonable and concerned people will have come to conflate these two technologies, nuclear power and nuclear arms as I had. Considerable scrutiny from several different perspectives, more so than any knockout punch, gave me the confidence to let this one go for good. The historical perspective is a reasonable place to start. History provides both supportive and contrary evidence to the nuclear power/nuclear weapons connection. Firstly, it is true that the nuclear age started in earnest with weapons. Ninth August, 1945 was the second and last time a nuclear weapon was deployed against a population, at Nagasaki. The development of this weapon was a product of the overall nuclear research of the preceding decades. Electricity was first produced from a nuclear reactor in Idaho, USA in December 1951. The first commercial reactor operated at Calder Hall at Windscale, England, beating the US whose first commercial reactor, Shippingport, became operational in December 1957. The first evidence of disconnect between power and weapons comes early in history. Nuclear power generation was never a requirement of the development and deployment of nuclear weapons. The weapons came first. However, it is true that much of the further early research and development into civilian power and military applications were joined at the hip. 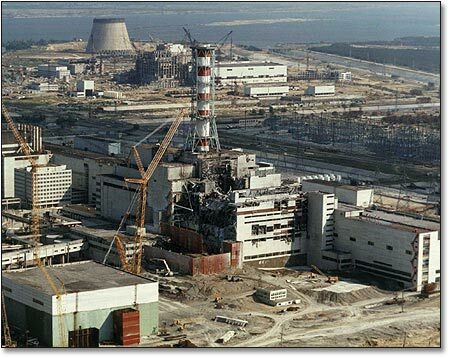 Some nations were using power reactors to provide both electricity and plutonium for weapons, such as early reactors in the UK like Calder Hall, and Chernobyl in the USSR. I maintain sympathy with my old self for holding the proliferation objection to nuclear power on a historical basis of evidence. The evidence is mixed and imperfect, but it is there, even though over time the pathways of civilian and military nuclear have comprehensively diverged. It took time to stand back and consider the evidence that the truth was more complex. Consideration of other perspectives helped that process. The heart of this whole meme is the fact that nuclear power technology, including the operation of power plants, can provide material for nuclear weapons. While factually true, this does not provide enough information to determine whether this is a genuinely warranted proliferation concern in 2013 and beyond. Firstly, consider enrichment. Among natural uranium, about 99% is U238. This is good for neither power plants nor bombs (the terminology is that U238 is fertile, but not fissile). About 1% is U235 which is good for both power production and bombs. But at only 1% it is good for neither. It must be enriched (well, with some exceptions. The CANDU plants profiled in Zero Carbon Options for example can operate with natural, non-enriched uranium). Most nuclear power plants use fuel that has been enriched to around 3%-5% U235 in a specialised enrichment facility. The waste U238 is known as depleted uranium, a heavy metal, which is toxic in the same sense as lead. A nuclear weapon needs material enriched to around 90% U235. This again is prepared through an enrichment process, and this process is anything but simple. It requires precision engineering and a massive facility, as well explained in this short video. So, from a technology perspective, does refusing to use nuclear power disable the potential for development of weapons material? The answer is no, because the enrichment precedes the power generation. When North Korea shocked the world in 2010, it was not a nuclear power plant but an extensive enrichment facility that was so troubling. Civilian power generation may be used as a smokescreen, but that’s all it is. Pursuing ambitions for nuclear weapons does not need a power plant anywhere in the picture. But what about the plant itself? Nuclear plants can make material in the reactors can’t they? The answer is yes, but compared to direct enrichment this is a woefully inefficient and non-cladestine pathway. In the course of normal operations, plutonium will be created inside a power reactor. But, like uranium, it is only good for a bomb if it’s the right type of plutonium (PU239, the fissile isotope), and separated from the wrong types (several others but mainly PU240, the fertile, non-fissile isotope). If a modern reactor is run normally, the fuel stays in the reactor for 18 months or more, up to three years. In that time, the plutonium that is created collects so many neutrons that any PU239 is hopelessly contaminated with PU240, which is pretty much impossible to separate. Making a bomb with it would be like making a cake with ½ self raising flour, and ½ cement. It wouldn’t work ½ as well, it would be a total failure. It’s the same with a bomb made from this material. It cannot create the nuclear explosion. A good, more detailed explanation is provided by the World Nuclear Association. The only way around this is to take material in and out of the reactor on really short cycles, around three months tops. Imagine how obvious this is: a power reactor having regular, unexplained shut-downs every three months. 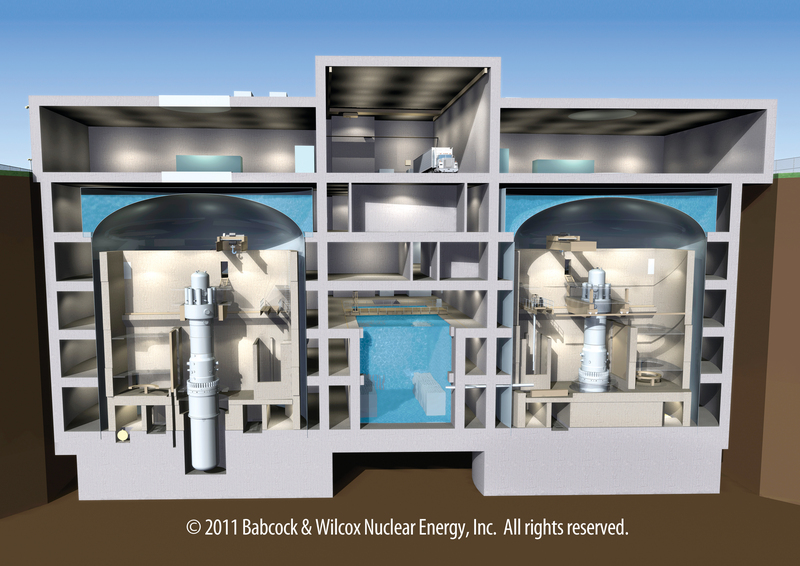 Reactors can be designed for regular removal of material. Early reactors in the UK like Calder Hall were built for this purpose, and Chernobyl was also such a reactor. That’s one reason the accident was so bad. Because people had to get in and out so frequently to remove material, the reactor lacked the robust containment dome of every commercial reactor built in the OECD in that period. That design feature ensured a terrible accident was uncontained and catastrophic. A commercial power generating reactor of the type for sale today is not designed with this task in mind. Quite the opposite, it is designed to be as good at generating electricity as possible. Robust containment of the reactor and long fuel cycles are key selling points. Using one of these machines to make bomb material would be expensive, slow and obvious. Ultimately, it’s pointless. Long fuel cycles and robust containment are key selling points of modern power generating reactors. Then of course… you need to make a bomb. Contrary to popular meme, this cannot be done in your garage. This requires a great deal more knowledge and capability, but above all the determination to actually do it. Finally, it is the nuclear power sector that provides us with the surest pathway to rid ourselves of weapons grade material. As beautifully described in this clip from Pandora’s Promise, nuclear power plants have provide a secure pathway to downgrade and disposal of the material from over 16,000 warheads, with electricity as a result. So from the technological perspective, the idea of a firm connection between nuclear power and nuclear weapons has basis in facts of history, physics and engineering. But the connection is basically a relic of history. A modern power generating plant is completely superfluous to the process of making a nuclear weapon and their use to downgrade weapons material has made us much safer. Technology is not the culprit. We cannot put away our cutlery in the name of forgetting how to make swords. It’s time instead to look at the geo-political perspective to understand how we might move to an age of greater peace and stability, one where we simply don’t want nuclear weapons any more. Pulitzer Prize winning scholar Richard Rhodes, who literally wrote the books on the history of nuclear weapons, has determined that there are nearly fifty nations worldwide in possession of the knowledge, resources and overall capabilities required to become nuclear weapon states, including Australia. Yet the total number of armed states remains at nine with a suspected tenth. South Africa is a laudable example of a nation ridding itself entirely of weapons while maintaining their nuclear power sector. This table of global nuclear capability, covering 69 nations, shows both how much capability there already is, and how little of it has led to weapons development. Australia for example uses a research reactor for the production of medical isotopes. A research reactor, as it happens, is better suited to production of weapons material than a power reactor, as it runs on much shorter cycles. Yet the meme to which I subscribed had it that there was an inexorable pathway from power generation to weapons development, suggesting that every national government is eager to develop such an arsenal. This is obviously not true. Why? What has protected us from the frightful potential of a nuclear club of fifty nations? It turns out there are some very sensible reasons. North Korea, North Vietnam, Iran, Iraq, Panama and Yugoslavia defied the United States; Afghan and Chechan insurgents defied the Soviet Union; Egypt defied Britain and France; Egypt and Syria defied Israel; Vietnam defied China, and Argentina defied the United Kingdom…The countries that goaded their nuclear superiors were not suicidal. The correctly anticipated that for anything other than an existential danger, the implicit threat of a nuclear response was a bluff. Nuclear weapons are proving to be not worth the headache for those nations who have remained outside the nuclear club thus far. The cost is too high to achieve less than nothing in terms of boosting the prospects for a nation in the 21st Century, where the main game is raising prosperity, and prestige is measured ever-more in human development, innovation and economic might. This is obviously not to presume zero-risk of proliferation on the basis of undesirability of the weapons themselves. That would be stupid. Without doubt, the system of global safeguards and controls plays an essential role. Any sane person will remain concerned that there are still some 17,000 warheads in existence, and many non-nuclear nations exist under nuclear umbrellas. But I assert that for new states to develop weapons requires a formidable combination of knowledge, capabilities, resources and determination, combined with a particularly skewed perspective on 21st Century geo-politics and a badly warped concept of self-interest that is stuck around the mid-20th century. This, for all intents and purposes, describes North Korea. Our energy decisions cannot be held hostage to the actions of that bizarre regime. Far from being machines of war, from the developmental perspective, a case can be made that nuclear reactors are powerful promoters of peace. We must consider not only the conditions in which weapons might be constructed but also conditions in which they might be used. Greater global stability lessens the probability of nuclear conflict ever occurring. Since the end of the haemoclysym of the first half of the 20th Century, we have lived through a period of unparalled peace and stability. Known as the Long Peace and latterly the New Peace, it has been characterised by the decline in both frequency and severity of conflict around the globe, punctuated by serious but progressively less bloody conflicts, notably those of ex-colonial Africa, Korea, Vietnam, Iraq and Afghanistan. While there remains no shortage of horror, cruelty and depravity in this world, numerically speaking it has never been more peaceful than now, to the very best of our knowledge. There are a number of factors to which these remarkable events can be positively ascribed. The most compelling for causation are the Kantian Triangle of democratisation, trade, and membership of international organisations proposed by Russet and Oneil (2001). As cited by Pinker (2011), “a pair of countries that are in the top tenth of the scale on all three variables are 83% less likely than an average pair of countries to have a militarised dispute in a given year, which means the likelihood is very close to zero”. Powerful too is the continued rise and spread of liberal, humanitarian philosophies that contribute to the serious aversion to war among developed countries as well as the rise and spread of human rights. Consider, therefore, the examples of the UAE, Vietnam, Turkey and Jordan. As imminent new entrants to nuclear power, they will develop greatly reinforced trade relationships in nuclear technology, fuel and expertise, as well as new obligations and connections through the participation in important international organisations including the IAEA. 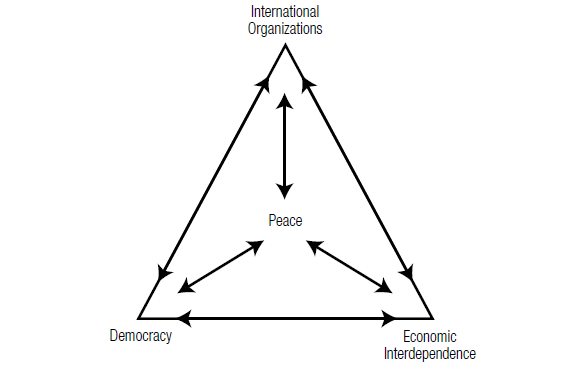 The uptake of nuclear power will directly pull these nations more strongly toward the Kantian Triangle of peace. Heavily embedded in these peace-generating processes is economic development and the supply of stable, low-priced energy. In 2008, about half of global conflicts were taking place in the counties with the poorest sixth of the people, the “bottom billion” (Pinker 2011). The chart below shows per capita energy consumption for a selection of developed nations as well as a grab-bag of current and recent global trouble-spots. It is powerfully clear that our greatest shared defence against nuclear conflict is a condition of expanding global stability built upon democratic, liberal and humanitarian ideals, enmeshed with strong relationships of international trade and cooperation, powered by reliable energy. If we then accept, as many security agencies now do, that one of the greatest threats to global stability in the 21st Century is climate change, where then does that leave nuclear power on the ledger of peace-promoting vs war-enabling? Nuclear power provides plentiful power from a plentiful energy source, free from destabilising greenhouse gas emissions or toxic particulate and sulphate emissions. It is the technological foundation upon which the globe might bring decarbonised energy to the poor and decarbonise existing energy supplies for the rich. This would provide a critical component for stability as we negotiate the challenges of climate change to come. To ditch nuclear power is to lock in a dramatically less stable global future as temperatures rise further. Where does this leave a currently non-nuclear nation like Australia? What influence on nuclear weapons proliferation and global conflict would a decision by Australia to embrace nuclear power actually have? It is clear that the proliferation risk is utterly negligible. We occupy a region that already includes neighbours that are nuclear armed (China), nuclear powered (Japan), and moving toward nuclear power for the first time (Vietnam). Our nation could have pursued weapons long ago had it seen fit. 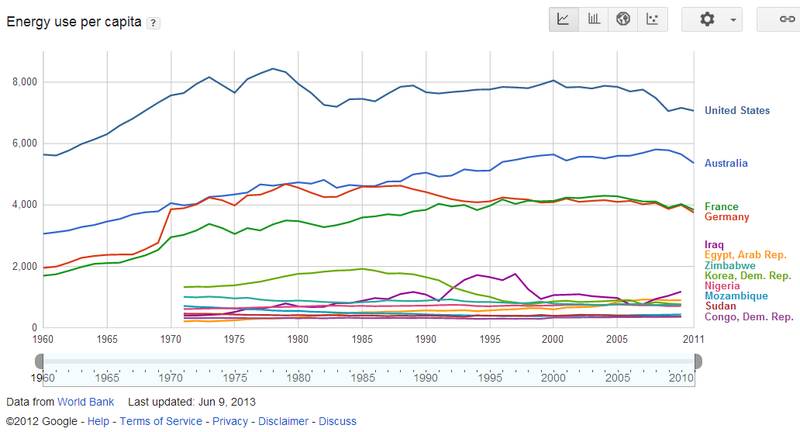 Answering the proliferation question for myself was not easy, because there was no knock-out answer. There is plenty of factual basis upon which to build arguments against nuclear in relation to proliferation. That does not make them good arguments. It’s a thin connection in a complex world. Resolving this issue to my satisfaction required familiarisation with historical, technological, geopolitical and developmental perspectives, each as it relates to the other. As I did this, the over-arching facts came into sharper relief. Nuclear power does not lead to nuclear weapons. If it did, it would have. It hasn’t and it isn’t. Trials included ground based incendiary devices and a balloon launched dirty bomb. A decade later the Olympic Dam uranium deposit was discovered 100 km or so away. Judging by the tone of recent calls for 100% renewables the new line of argument is that nuclear power has a vague set of problems. Think of not only A-bombs but the 20,000 unfortunate souls who perished in the Fukushima region. All bad however you look at it. In contrast there’s nothing wrong with wind and solar that can’t be fixed with a bit of tinkering. Hence we should forget nukes. This style of argument is based on a generally bad vibe not so much the specifics such as weapons proliferation. If one vibe looks shaky move to another like upfront cost, long build times, decommissioning, waste disposal. uranium depletion and so on. Proliferation is just one chocolate in the box. Great post Ben. To me the crucial issue which you’ve highlighted is that nuclear weapons are totally useless to anybody who actually has them. If you are a superpower you can’t use them on little annoying mosquito states, and if you are a little power with one or a couple of devices you can’t waste your entire arsenal on either a big enemy (for obvious reasons) or a small enemy without risking everything. Even the current Kim Jong-nutter understands that. For the past few decades we’ve all been worrying excessively about the wrong kind of weapons, and should have spent far more energy on the ones that people are happily producing and selling and using on a daily basis. Yes Geoff. It was Pinker’s exceptional reasoning that helped me see them for the dead-end they pretty much are. Pinker has long been one of my heros. Awesome writer and thinker. Thought you might be interested in his recent interview on Desert Island Discs, brilliant. The principle advantage of nuclear weapons for a small state is that it grants the potential to knock out large-scale conventional forces necessary for invasion. In short, a credible nuclear deterrant can invasion-proof your tin-pot dictatorship if you’re in the habit of upsetting the Great Powers. Of course, it isn’t cheap and it isn’t easy, but it’s doable if you’re obsessive enough. Those weapons turn from a great advantage to a great liability if it looks like you’re going to use them for any other purpose, though. Make the international community too nervous about your intentions and they’ll actually increase the likelyhood of your being targeted. Personally, I suspect that the existence of nuclear weapons is likely one of the main factors in leaving the age of mass Great Power warfare behind, so I’m not enthusiastic about prospect of complete nuclear disarmament. I recommend you take in “The Better Angels of Our Nature” by Steven Pinker and then see what you think on the drivers and causes for the Long Peace and New Peace. How interesting, thanks. I will look into that in more detail. UK Magnox design was one of the few dual-use reactor designs. It could be used to make bomb-grade plutonium. However Magnox had drawbacks. (1) we never needed so much plutonium, (2) it is hard to service – to replace degraded graphite, (3) it is much more expensive to decommission – costing about 5 times what it would cost to decommission a PWR. So a bad NPP design. Yet rather than politicians take the blame for this, somehow the UK nuclear industry has been saddled with the blame. It goes to the right level of detail for a first timer into the world of geopolitics and to a larger extent International Relations. There is a heap of literature out there for those who want to delve in further to why countries choose nuclear weaponry and how they do it. It’s much more complex than Reactor A enables home Country to build a bomb. A good text to go on from this article is the International Commission on Nuclear Non-Proliferation and Disarmament, co-chaired by former Foreign Affairs Minister Prof. Gareth Evans, final report “Eliminating Nuclear Threats – A Practical Agenda for Global Policymakers”. Australia is a key player in the Nuclear Non-Proliferation discussions considering the Canberra Comission in 1996 is a document that is widely reference in negotiations and discussion on disarmament and non-proliferation. While Australia is very active in the diplomacy side of the NPT and disarmament, maybe it’s time we took our gold standard of diplomacy on the NPT and developed a civilian industry that is absolute gold standard in terms of non-proliferation, safety, and regulation for other nations to copy and develop Nuclear power with minimal concerns for proliferations. Lead by example. Mission accomplished then. There is a massive world out there on this topic. How much can we reasonably demand people understand in order to have an informed opinion? This piece covered those big hitting issues that I had to work myself through before I could be satisfied that the meme was outdated, overly simplistic and basically no longer relevant. It’s not, in my opinion, a simple issue but the arguments I have put here should be enough for most people. Not clear if that is shale oil that requires fracking or oil shale that requires digging up and retorting. My hunch is that it will all come to S.F.A. The entry here is nice, but I think the technologically inclined might also want something that goes further into every details of why and how Pu240 poisonned plutonium is not usable for a bomb, and also demonstrates that the one bomb that was produced from so-called fuel grade plutonium but actually was built from very slightly less than usual weapon grade plutonium, extracted from the reactor type that produced all the weapon grade plutonium of UK. Great post and I agree with the gist of it. Carson Mark (1990). Reactor-Grade Plutonium’s Explosive Properties. Nuclear Control Institute. BTW, the number of nuclear weapon programs has actually decreased even as the number of nuclear power programs has increased – the data can be found from e.g. Cirincione, Wolfsthal ja Rajkumar (2005). Deadly Arsenals: Nuclear, biological and chemical threats. Carnegie Endowment for International Peace. It’s a sobering thought that even Sweden used to have a _very_ serious nuclear weapons program, as did the Swiss. One point I thought you’d make. Integral Fast Reactor (IFR) research was, apparently, defunded on the claim it was a nuclear bomb proliferation threat. This because it was a breeder reactor (in theory: making more fuel than it used) and so, the researchers developed reprocessing technology (which was integral to the fuel lifecycle for this reactor type). Yet the plutonium from a fast reactor is even more unsuitable for bomb-making than plutonium from light water reactors. Fast reactor plutonium also has plutonium-238 (Pu-238) contamination (as well as the previously mentioned Pu-240, and americium-241 contaminants; also found in LWR used fuel). Pu-238 is eventually made from fertile uranium-238 by a series of nuclear reactions beginning with the (n, 2n) reaction which is only common in fast reactors. The association between breeder reactors and proliferation has no basis. In a breeder reactor, the final aim is to use up all the fuel; leaving only fission products. Nothing should be left over from which a fission bomb could be made. In contrast water-moderated reactors leave a small but growing amount of spent fuel. There’s now, reputedly, 390,000 tonnes of such on earth. 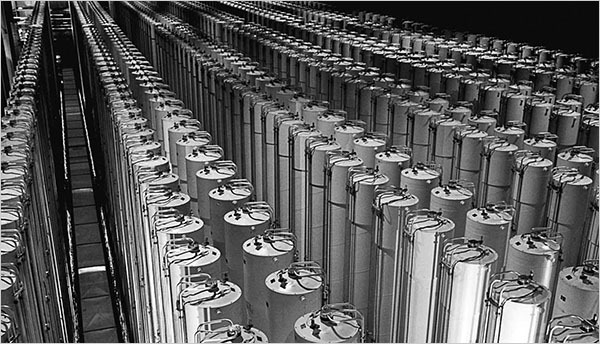 All this spent fuel contains about 0.8% plutonium-239, from which bombs can be made (in theory). These will be low-grade bombs which no one would really want to make. Like the fruit cake made with concrete. Yet they will be “bombs”. Pu-238 contaminated breeder spent fuel adds another risk : heat (due to Pu-238 decay. It’s half-life is about 88 years). Breeder reactors would not normally make any spent fuel. I conclude: On paper, the conventional pressurized water reactor is a greater proliferation threat than the fast breeder! Reasons given for defunding the IFR in 1994 were illegitimate.